SportsEngine | How do I customize my Site Name? 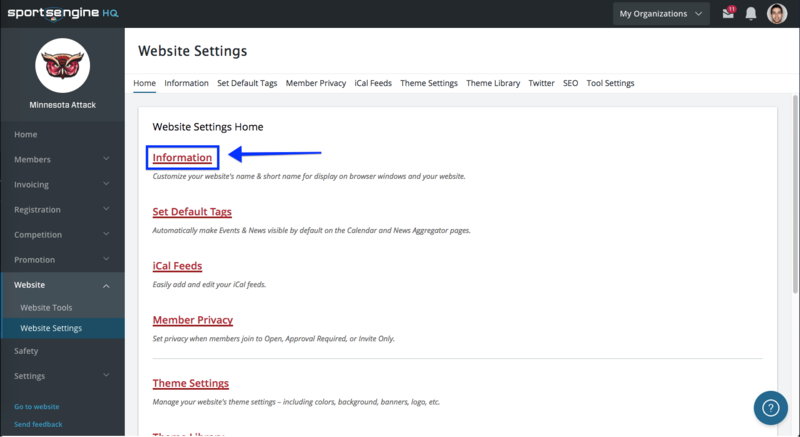 Home › Website › How do I customize my Site Name? How do I customize my Site Name? You can customize the site name on the top of the web browser and on the left side of your website.